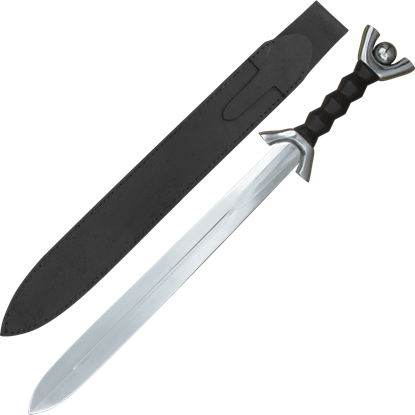 This category contains not only our Celtic swords, but those of famous Scottish and Irish origin. 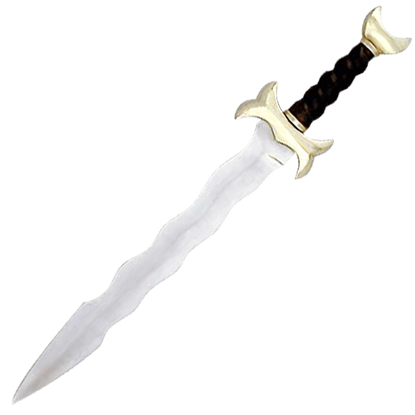 Buying a Sword offers many excellent Scottish and Celtic swords for collectors and reenactors. Celtic swords often appear either as Celtic long swords or Celtic short swords, while Scottish swords include claymore swords, various basket-hilted swords, and Scottish broadswords in their number. At Buying a Sword, we are pleased to carry an excellent array of Scottish and Celtic swords in decorative and functional sword designs. The Scottish claymore is well-associated with the Wars of Scottish Independence, giving rise to the variety of William Wallace swords and Robert the Bruce swords we carry. 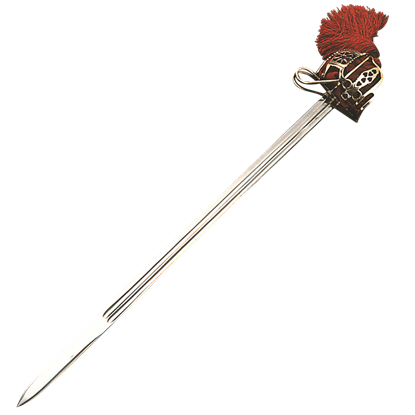 Whether you are looking for a Highlander sword or a Celtic war sword, you can find many excellent options for taking to your upcoming battle or displaying in your home decor here. Not all Celtic weapons were designed with function in mind. 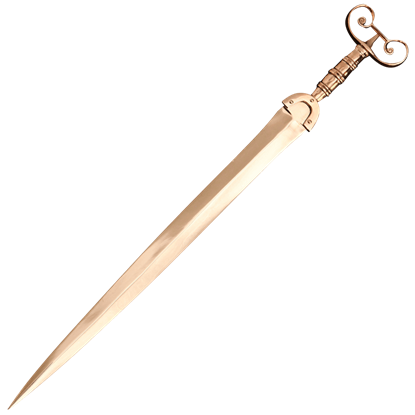 Take, for example, the Bronze Celtic Antennae Sword. 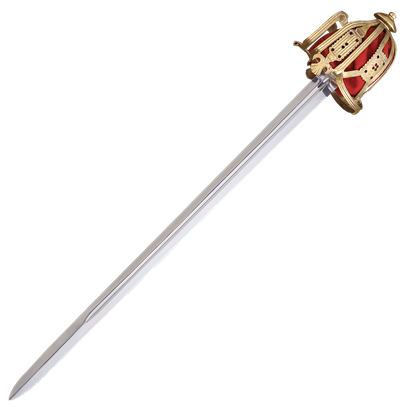 This weapon features an effective blade and a hilt set with a flowing, decorative pommel, all cast in bronze. Seldom does a warrior go into battle with just one weapon, and even if you do not plan on wielding it, it is always nice to have a back-up. 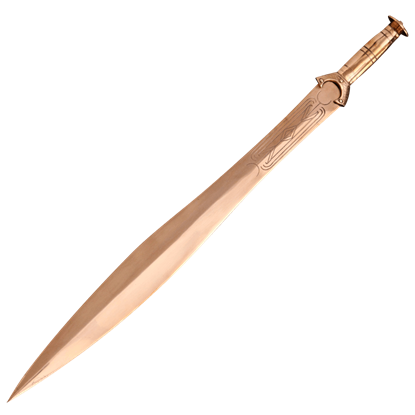 The Bronze Celtic Short Sword is based on a blade that would have went with many warriors to war. Despite any differences between bronze and steel, there is no denying that Bronze Age weapons possess an appearance that rivals those of steel. The Bronze Celtic War Sword, for instance, has a fine gilded look that is undeniable. Celtic artwork can be quite distinctive, and you need only look to this Celtic Anthropomorphic Sword with Scabbard to prove that point. This unique blade has an artistic hilt and a deadly blade, making it quite the sharp accent to see. Celtic artwork can be quite distinctive, and you need only look to this Celtic Anthropomorphic Sword with Scabbard and Belt to prove that point. 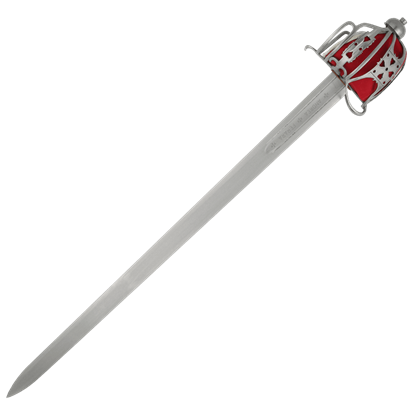 This unique blade has an artistic hilt and a deadly blade, making it a sharp accent to see. The Celts were brave warriors from early as 500 BC, fighting with strength and fury. The close combat sword was the chosen weapon in battle, as its flared blade possessed a strong and deadly edge that could be wielded quickly. This magnificent medieval Celtic Flame sword has magical Celt appeal! Each flame like blade of steel is masterfully forged by hand and comes with its own leather sheath, which is made individually to fit each kris blade.